The civilization of the Getes (Getae) and Dacians can be distinguished in the Thracian world long before Herodotus first referred to them in the 7th century BC. The Getes inhabited the Danube plain and the Dacians the central and western part of the region between the Carpathians and the Danube. Their close cultural and linguistic links are emphasized by several ancient authors. Theirs was a typical Iron Age culture, practising agriculture, stock-raising, fishing, and metal-working, as well as trade with the Greco-Roman world, shown by finds of luxury goods and coinage. When Greek colonies such as Histria, Tomis, Odessos, etc were established along the northern shores of the Black Sea in the 7th century BC, the Geto- Dacian rulers established close links with them and extended their protection. This cultural interchange had a profound effect on societies in the region. The other major cultural influence, adopted by the warrior aristocracy, came from the Scythians who inhabited the regions to the north and east. During their expansion that began in the 4th century Celtic peoples settled in modern Transylvania and established hegemony over the region because of their superior weaponry. However, their influence waned from the mid-3rd century BC onwards. A new Geto-Dacian form of territorial organization appeared in the early 2nd century BC, at the same time as important technological developments (wheelmade pottery, iron ploughshares, use of stone for building). It was based on the dava, the central place of a tribal territory; these contained many sacred sites (temenoi) and other forms of cult centre. The process whereby the earlier fragmented tribal structure became centralized is not understood, but there is abundant evidence that the Geto-Dacian civilization flourished from the 1st century BC onwards, thanks to the intelligence and pragmatism of its rulers and of its priests. 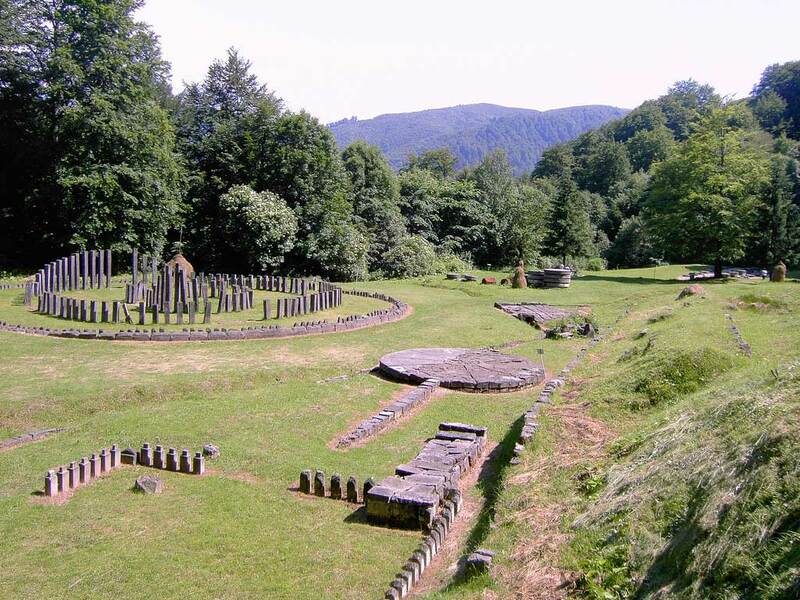 A Hellenistic form of kingdom was evolved by Burebişta (82-44 BC), supported by a warrior aristocracy and with its heart in the Orašţie Mountains around the sacred mountain Kogaionon where the sacred city was built, Sarmizegetusa Regia. It became master of the entire Black Sea coast, absorbing the Greek colonies. After the death of Burebişta his kingdom was divided up into smaller territories, but Sarmizegetusa retained its primacy; it became in effect the first (and only) true town in Dacia. The Dacian rulers became increasingly involved in the internal politics of the Roman Empire, and suffered accordingly from punitive expeditions. The lower Danube frontier (limes) was constantly the scene of cross-border raids and minor campaigns. This entered a new phase in AD 86, which marked the beginning of a series of Roman-Dacian wars. In the spring of 101 the Roman Emperor Trajan, having secured his Rhine frontier, took the offensive against the Dacians. Decebalus unified the Dacian kingdoms and concentrated his forces in the Orašţie Mountains, where he submitted to Trajan. An uneasy distribution of territory ensued, broken in 105 when Decebalus seized the Roman governor Longinus. This time he could not hold the Dacians together against the powerful Roman army. His capital and his fortresses were overwhelmed and Decebalus himself committed suicide to avoid capture. This campaign is graphically depicted in the reliefs running round Trajan's Column in Rome. Dacia became a Roman Imperial province, and its fortresses were slighted. 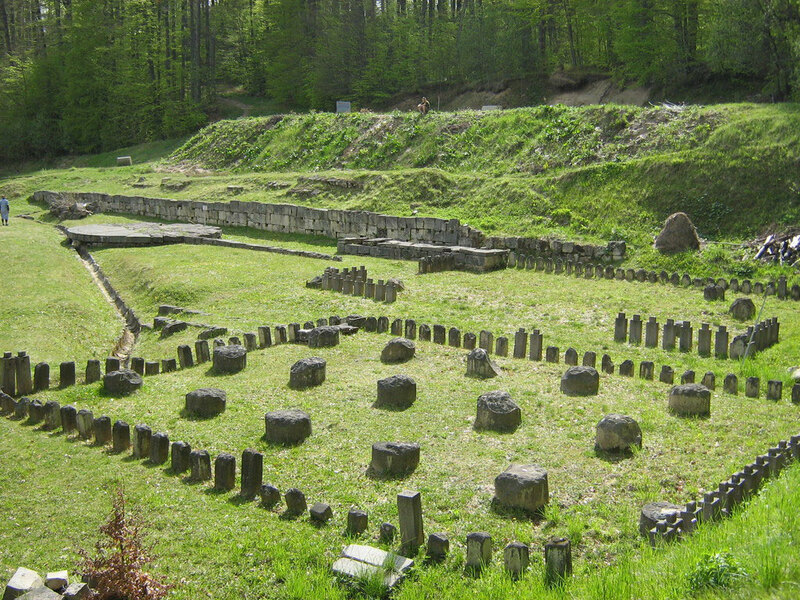 New Roman towns were created, but none of them on the site of the Dacian settlements, with the exception of Sarmizegetusa, which was given the resounding Roman name Colonia Ulpia Traiana Augusta Dacica Sarmizegetusa. Dacia was to remain part of the Roman Empire until 274, when the Emperor Aurelian abandoned it in the face of irresistible pressure from the Goths. 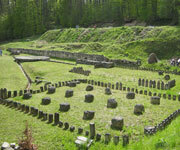 Browse All UNESCO World Heritage Sites in Romania. The original UNESCO inscription Here!! !